Today in my Memoir class, Ann Cannon was our guest speaker. She’s written for the Deseret News and the Salt Lake Tribune for the last 25 years and I always enjoy her Erma Bombeck-ish writing style. Our assignment for class was to read her book, What’s a Mother to Do?” and have questions for her this afternoon. For the last 30 minutes of our class, she answered questions, like “how did you find time to write while raising your 5 boys?” and “what advice can you give us?” At the end of class, the questions ran dry so I raised my hand and asked, “Is it OK if I read something from my favorite essay?” She seemed pleased and said, “please do,” so I read the last few paragraphs of Good bye, Donatello. In this essay she describes how her son Dylan (aka Don, short for Donatello, Ninja Turtle) believed he was a Ninja, living in a Ninja world. 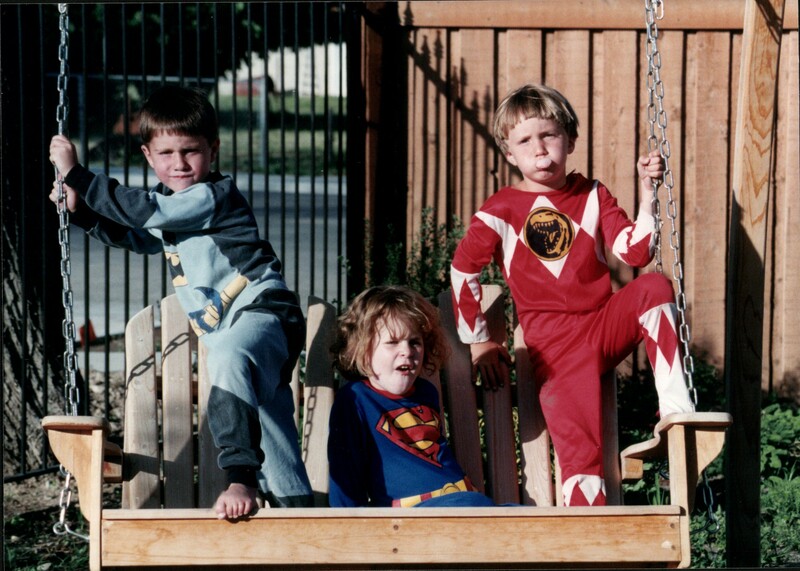 It brought back so many memories of the dozens and dozens of capes I sewed for Adam when he was little. 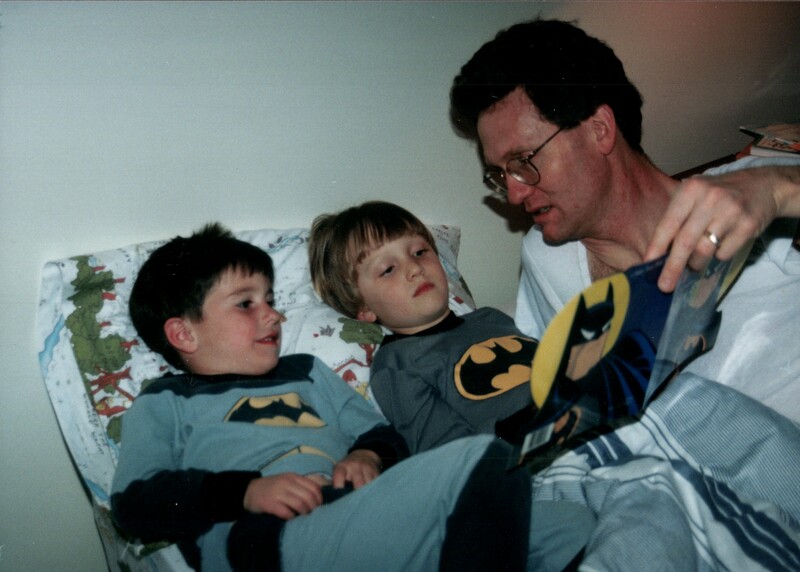 Adam was Batman for many years. He was also Superman and a Knight in Shining Armor. He jumped, he pounced, he flew, he rescued. He went nowhere without a cape on or a sword in his hand. I’ve been thinking about Don quite a bit because of a memory I had this morning when I stepped onto the porch and felt a flash of fall. We had a dog when I was a kid, an elkhound, who used to perk to life again when the cool weather set in. She’d run outside first thing each morning to sniff the air, her bushy tail looped over her back like a question mark. The colder it got, the more she quivered with excitement. When the snow finally flew, that dog went completely crazy. She’d charge outside where she’d leap and roll and throw snow with her snout. For years I observed her giddy routine and didn’t think much about it except to laugh as I left for school. Now that she’s gone, however, along with that part of my life, I find the memory of it both sad and sweet and full of unexpected force. Don left us so gradually that I hardly noticed until the day I saw a leggy six-year-old with a gap-toothed grin sitting at Don’s place across from me at the dinner table. His name is Dylan, and he likes baseball. My life is an accumulation of small events, most of them supremely ordinary—chopping onions for dinner, saying hello to the mailman, combing a child’s hair, stooping over to pick up the morning paper, dialing the number of a neighbor, half-listening to my wind chimes, sharpening pencils, gossiping at work, over-eating on Sunday, feeding a cat, pulling a weed, picking up clothes, watching the news at ten, stepping onto my porch first thing in the morning when the air is still new and full of birds. I wonder which of all these events will come back to me as memory, like that of my dog lost in silliness or of Don leaping straight into the air? And which of them, I wonder, like the brief sight of violets in the spring, will take my heart in the passing? Reading these words really gets to me. When I looked up afterwards at her, there were tears streaming down her face. “You’ve made me cry with my own words,” she said. Then she told us that this Donatello essay is, of all the essays she’s ever written, her very favorite. I don’t know that the young students in my class got it like she and I did, but someday, after they watch their own children grow up, they will understand and feel what we mothers feel, and these words will bring a piece of their hearts back, if even just for a moment.